Shamanic Yin Yoga "Peace and deep healing"
This practice invites us to establish a state of presence, peace and deep healing. Thanks to the postures, the breathing, the music and the sacred song we will release all the resistances which prevent us from opening the conscience to our True Identity. On the physical level we will amplify the opening of the hips, balance the nervous system and access deep connective tissue (fascia and ligaments) to strengthen our joints. On the energetic level we will experience a better fluidity in our pranic body, thanks to the stretching of our different energy meridians of the legs. The practice will be accompanied by medicine songs, mantras and the sound of sacred instruments. Romulo lives most of the year in the Peruvian Amazon. Teacher and trainer of Yin Yoga and Kundalini Yoga, Medicine-Man of the Amazonian tradition, he is also a practitioner of Body-Mind Centering© and somatic educator. His teachings combine the meeting of self-healing, the magic of celebration and the sacred song, a vast whole connected by the rigor necessary to the search for a humanity more conscious of its true identity. Co-founder with Emilio Escariz of Huamanwasi Ashram in Peru, center of shamanism and yoga, and Umachandra (now Jaya) in Paris, a pioneering space dedicated to the awakening of consciousness and the yoga of sound, it is at During his many travels he received inspiration and teachings from different ethnicities. He learned about Huni Kuin Forest Medicine and devotional songs from India. Devotion, humor and simplicity are the pillars of his teaching. Argentine singer and musician, researcher of voice, song and music as a personal development path for 20 years. She is trained in vocal technique for voice release, as well as different body awareness techniques (yoga, Fedora Aberastury, aerial acrobatics, instituto de la màscara, theater, etc.). With a scholarship of artistic studies she goes to Brazil in the two thousand years where she received her first initiation to the energy song in the Brazilian spiritual environment. This approach opens the voice-sung channel, a work of composition and musical inspiration. Interested in the ancestral songs of Latin America, she also goes to Mexico to learn regional music and their instruments. It was there that medicine men and women gave him shamanic knowledge. 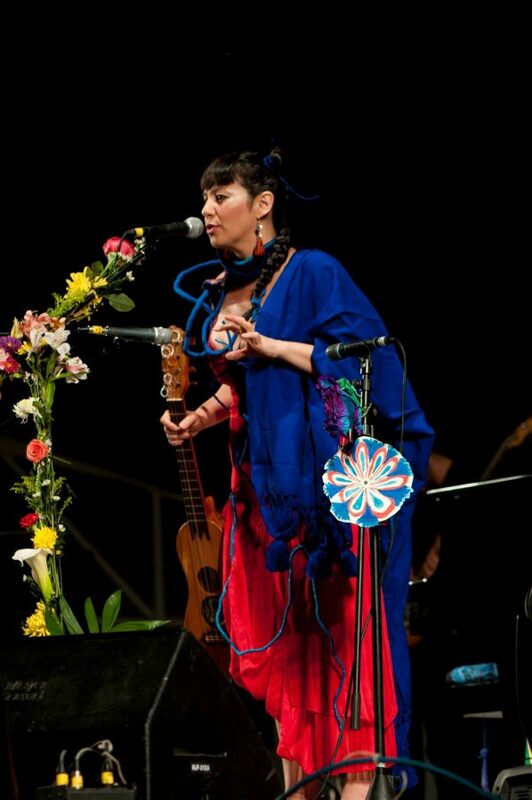 Based in France, she shares her voice and singing approach in the project "The voice of the body" through individual coaching sessions, collective workshops where she transmits circular songs from Latin America, to facilitate a space personal development, source reconnection and expressiveness, a path of healing.